BrewHop’s 1st stop of the tour begins at 300 Suns Brewing located at 335 1st Ave., Unit C in Longmont, and opened their doors back in February of 2014. 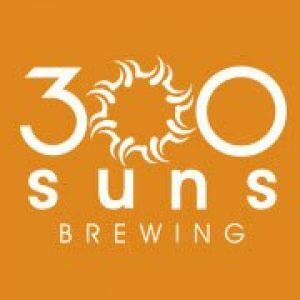 300 Suns was the first craft brewer to open in Longmont since Oskar Blues moved it’s brewing operations here from Lyons in 2008, and the first start-up craft brewery since Left Hand Brewing Co. opened in 1993. Jean and Dan Ditslear both of Ohio, got their inspiration to name the brewery after they fell in love with Longmont, and the 300+ days of sunshine we receive here in Colorado. 300 Suns is involved in community events including The House That Beer Built sponsored by the Habitat for Humanity of the St. Vrain Valley. On Saturday August, 13th from 2p-6p the Hoplympics will be happening to benefit The House That Beer Built, you can get tickets here: http://www.300sunsbrewing.com/hoplympics/. They are also involved with raising money for non-profits with their “65 days of making it rain.” Every Wednesday, for 52 weeks 300 Suns will donate 10% of the sales from the day to a local or regional non-profit. The Our Center is the benefactor for the month of July 2016. 300 Suns also puts on comedy events like the “barley-har-har” comedy night. Every third Thursday and first Friday of the month, Bub Comedy hosts the premiere open-mic night at 300 Suns Brewing. Coming up September 10th, 300 Suns is having their Chili Cook-off & Craft Beer, Cider + Spirits Tasting benefiting the Longmont Humane Society. Along with their awesome craft beer they now serve food to include chips & salsa, meat & cheese plates, panini’s, 3 cheese grilled cheese and for dessert Cacao Girl Gourmet Chocolates which you can pair with a Salted Toffee Imperial Brown. All in all 300 Suns is a great place to hang out on those 300+ sunny Colorado days.